Khvylia, Andrii [Хвиля, Андрій; Xvylia, Andrij; real name probably Олінтер; Olinter], b 19 August 1898 in the village of Rynhach, Khotyn county, Bessarabia gubernia, d 1938. Communist leader and journalist. 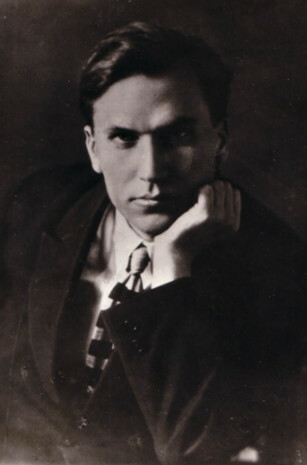 A member of the Borotbists, he joined the CP(B)U in 1918 and later directed the Press Section (1926–8) and the Cultural Propaganda Section (1928–33) of its Central Committee (see Communist Party of Ukraine). In 1933 he became Ukraine’s deputy commissar of education. A Party loyalist, Khvylia was particularly opposed to what he regarded as Ukrainian nationalism. In print he attacked Ukrainian cultural organizations such as Vaplite and the Berezil theater, and prominent Ukrainian cultural and political figures such as Mykola Khvylovy, Les Kurbas, Oleksander Shumsky, and Mykola Skrypnyk. He was responsible to a large extent for the death in the 1930s of many Ukrainian cultural activists. Besides numerous articles, he wrote books and booklets on Ukrainian nationalism; eg, Natsional’nyi vopros na Ukraine (The Nationality Question in Ukraine, 1926), Vid ukhylu v prirvu: Pro ‘Val'dshnepy’ Khvyl'ovoho (From Deviation to the Precipice: On Khvylovy’s Val'dshnepy, 1928), and Do rozv’iazannia natsional'noho pytannia na Ukraïni (On the Solution to the Nationality Question in Ukraine, 1930). After M. Skrypnyk’s suicide in 1933, Khvylia published a collection of articles, Znyshchyty korinnia ukraïns'koho natsionalizmu na movnomu fronti (To Destroy the Roots of Ukrainian Nationalism on the Linguistic Front, 1933), attacking the orthographic changes approved by Skrypnyk. In 1936–37 he was the first director of the Institute of Ukrainian Folklore of the Academy of Sciences of the Ukrainian SSR and the editor of its journal Ukraïns’kyi fol’klor. Khvylia himself was arrested in 1937, and was executed soon afterwards.